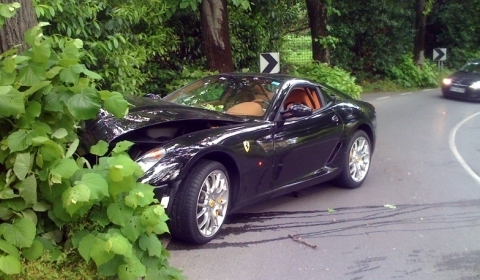 The following black Ferrari 599 GTB crashed in Slovenia. The sports car hit a tree in the corner of a road. It is unknown what happened and if people were injured. Stay tuned for more information on the crash.